No templates? No problem. 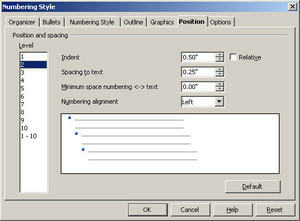 Convert any MS Office template to use easily in OpenOffice. File > Wizards > Document Converter. Then choose Tools > Options > OpenOffice > Paths and update the Templates line to specify where the converted copies were created. For more detail, see this post. Just some analogies to start things off. A fridge is not milk. You buy groceries. An Ipod is not Lyle Lovett. You wouldn't buy a different brand of mp3 player just because it didn't have your favorite music. You just load your music and you've got everything you want. A closet is not a great pair of peep-toe pumps. You supply your own shoes, clothes, furniture, etc. And a piece of software is not its templates. But if you don't have them, you can get them. Software is written by programmers and you have to install it. Templates are just documents, created by people who generally are not programmers. Sometimes you get templates with software and sometimes you don't, but they operate independently. 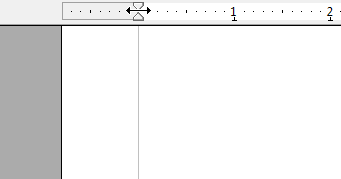 If you deleted all the templates out of Word it would still be Word. 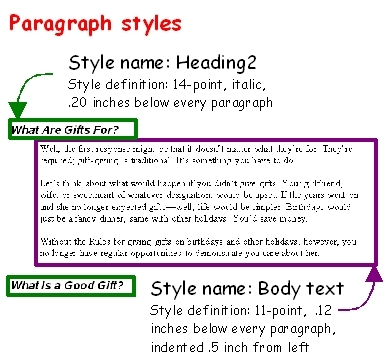 Templates are just goodies included to help you design the documents you want to create. 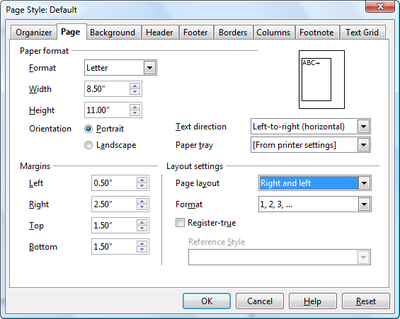 OpenOffice.org is free and doesn't come with a lot of templates when you install it. However, OpenOffice.org can make postcards and brochures and bumper stickers and business cards and resumes and invoices until the cows come home. In fact, until the cows have come home, had their drinks, gotten into fights, and passed out. You might have Word/Excel/Powerpoint templates. 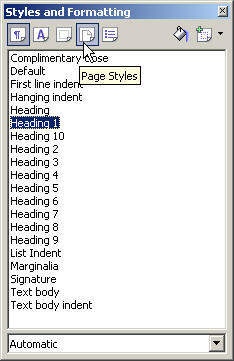 You can run a little conversion wizard on your MS Office templates, point OpenOffice.org at those MS Office templates and then, bam, OpenOffice.org has all those templates. Templates with macros can work too since the code that pops up the little window for you to fill in won't run, but you will see the gray blank that you can delete and type in. Check out the list of template locations at the left side of this blog, including http://wiki.services.openoffice.org/wiki/Extensions. 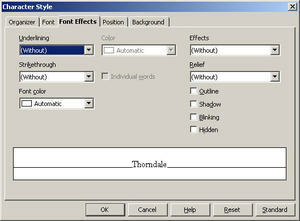 You can also choose File > Open and open templates or documents you created in Word. Check this out. 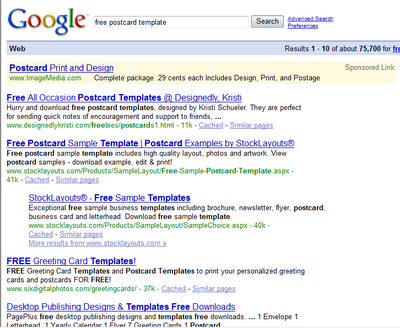 How many results do I get when I google for for free postcard template? 75,000. And for free brochure template? 158,000. And just free template (leaving out all the web templates, even)? This is out of control. Over seven million hits. 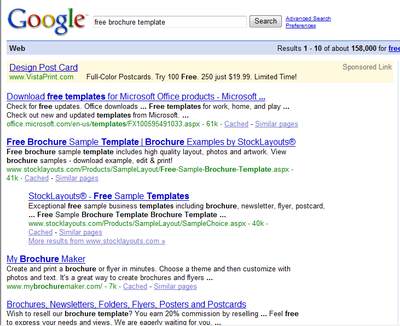 Here's my directory of Microsoft Office templates. 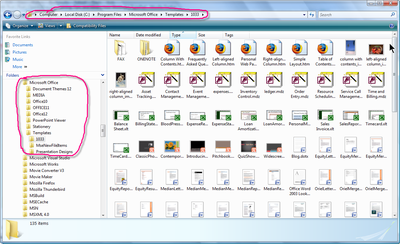 I just went to C:Program Files\Microsoft Office and burrowed down. And that's not all, folks. You don't even need templates. You can make your own postcards, for instance, totally from scratch. 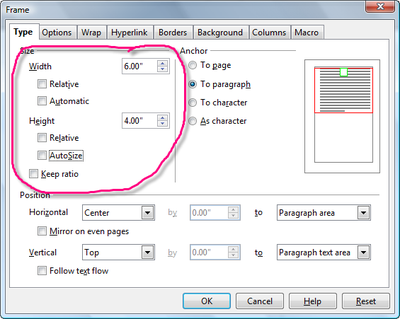 or choose Format > Page, Page tab, and set them in the margin fields. (Measurements will vary depending on what you're printing on and how margins are treated.) 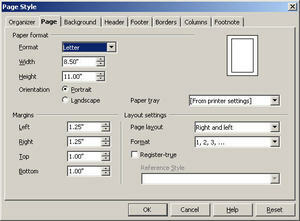 You might need a ruler to measure the card stock margins and then apply that to the page setup. This measurement would be big enough for two 4x6s, a front and back or two fronts leaving the back blank. You can also choose Insert > Frame and specify the measurements for one postcard. If you don't want a border on the frame, click the Borders tab in this window and find the "no border" icon. It took me five (I timed it) minutes to insert the frames, type in a little text, format it, add the picture, then copy the contents down to the other frame. 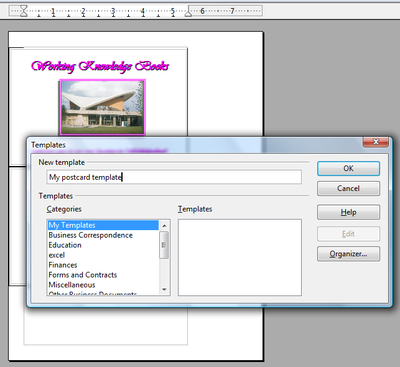 Once you've made your own once, then you can choose File > Templates > Save and save it as a template. Then it'll be there whenever you want it under File > New > Templates & Documents. The software is entirely different than its templates. 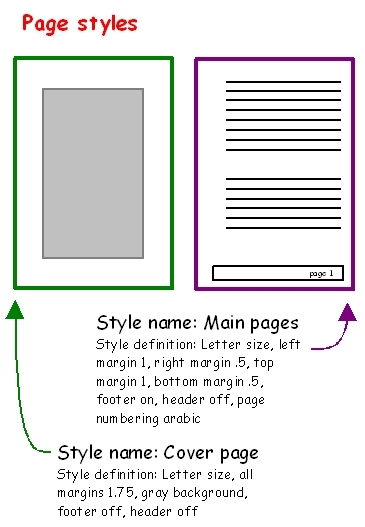 You can get a template for anything and use it in OpenOffice.org, for free, really easily, on the Internet. 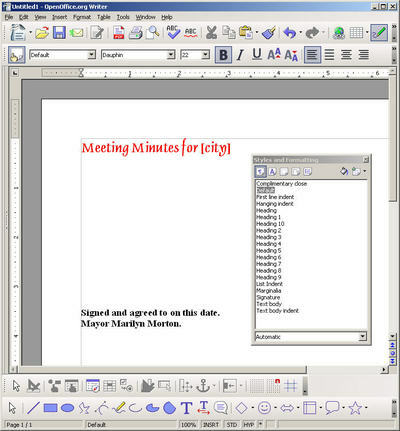 OpenOffice.org can make anything, with or without a template. 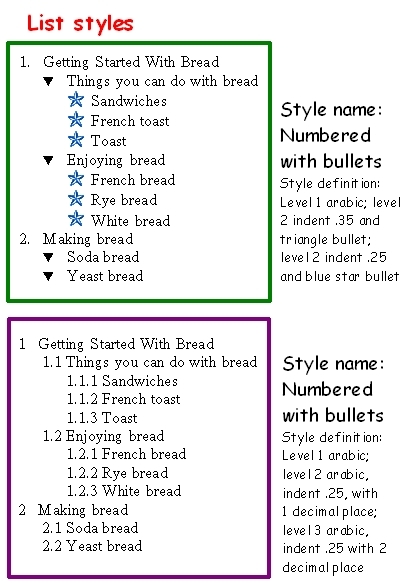 You can make anything in OpenOffice.org, with or without a template. 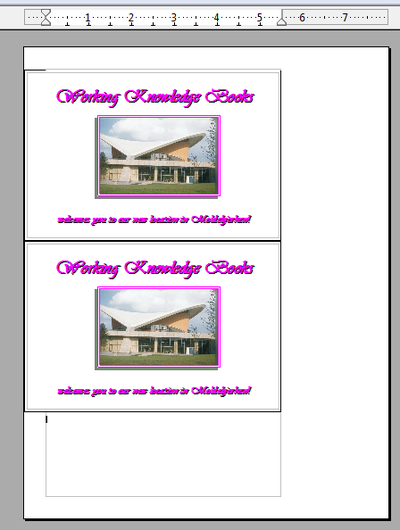 And if you do want more help with step-by-steps or with where to find templates, see this blog. I verified while doing this that if you create new colors, they'll transfer over in the document to someone else's computer correctly. That is, they won't show up in the other person's color list, but they will be retained in the document as they were used. 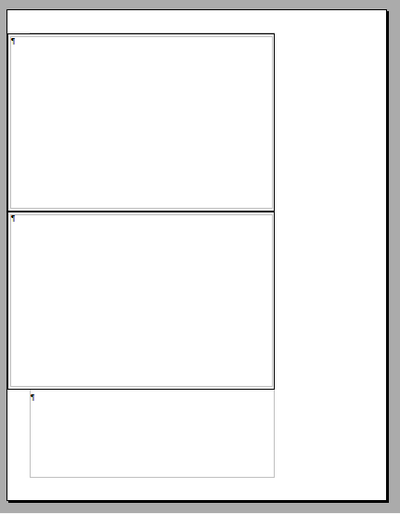 Also, master pages seem to be really troublesome sometimes. I'll apply changes in master page view and they won't show up; or they'll show up in master view but not normal view. Let's cross our fingers and hope that 2.0.3 corrects this. I don't remember having this much trouble in 2.0. Here are my templates; they range from Cloyingly Sweet to Sophisticated Grays. 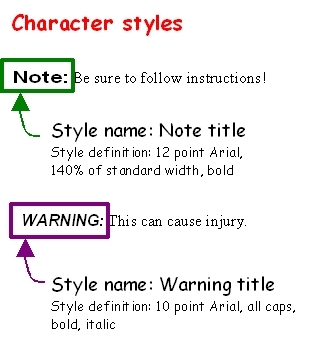 ;> If you don't have the same fonts I used, you might want to pep up the templates with something of your own choosing. See these posts to learn more about templates, creating Impress presentations and master pages, and importing Impress master pages. Right-click on each one that you want and choose to save the link target to your computer. Unzip the downloaded .zip file once you get it and follow these instructions to use the template in OpenOffice.org. First, I'm back from a non-vacation trip, and will be able to blog regularly again. Secondly, Kent wrote to me recently to ask about Impress templates. As he states, you can make a template, put it in the correct directory, and even restart OpenOffice.org--and the template still won't show up in the wizard when you choose File > New > Presentation. 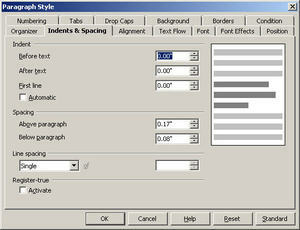 That approach works fine with spreadsheets and text documents; what's up with presentation templates? They're just a bit cranky, and/or the logic for getting them to show up in the wizard is less inclusive and aware of its surroundings than we'd like. At any rate, here's how to make Impress templates (or backgrounds, whatever you like to call them) show up when you're creating a new presentation. 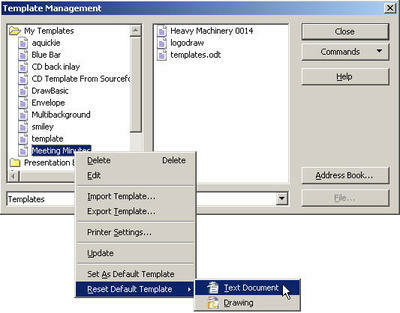 Here's how to create templates. 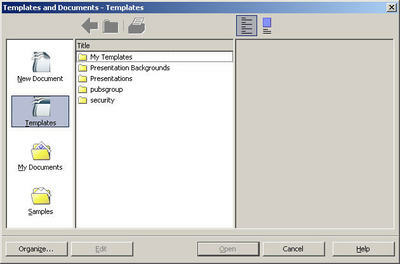 For creating just one template at a time, make the presentation the way you want it, then choose File > Templates > Save. 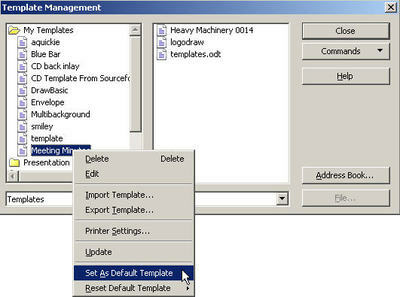 Select a category and name the template, and click OK. That's all you need to do to create the template, and to make it show up in the new presentation wizard. When you do it this way, you don't pull your hair out and you don't have to force the program to recognize the new template. 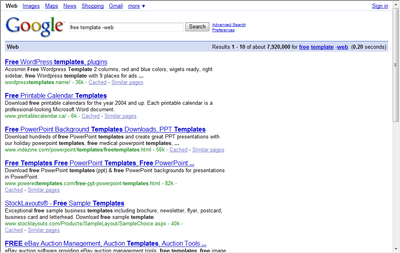 Now, how about if you've got a directory of templates that you've copied to the templates directory of OpenOffice.org? You don't want to have to open every single one following the instructions above. There's a quicker way. See that same blog for info on how to point to a directory. However, when you do it that way, that's when the wizard gets cranky and won't usually recognize the new templates. 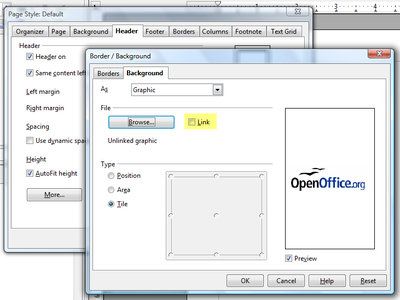 Here's how to force OpenOffice.org to recognize the templates. 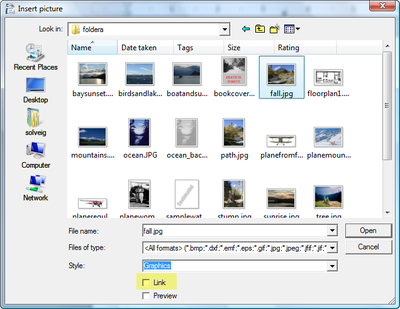 Choose File > Templates > Organize, click and hold down on the Commands button, and choose Update. More info in the referenced blog. This line of thinking might lead you to ask "OK, how do I import a template into a presentation I've already created?" And that's a very good question, which I'll answer in tomorrow or Wednesday's blog.